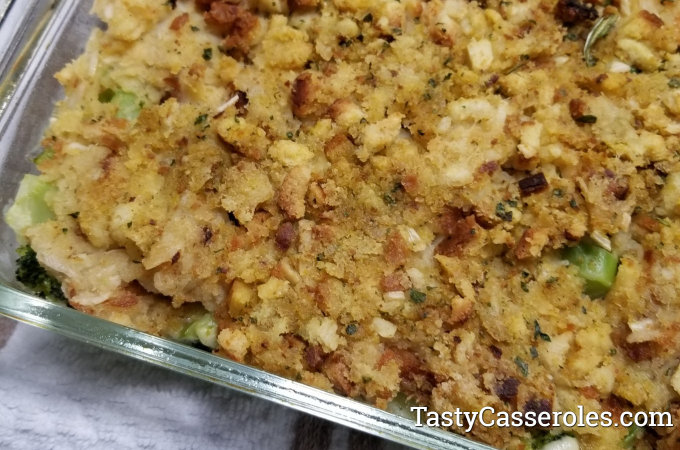 If you are looking for ways to jazz up your broccoli then this broccoli stuffing cheese casserole recipe is a great choice. This recipe is a great holiday side dish but also perfect for any night of the week. You can also make this quick and easy side dish your own by using a different type of soup or cheese (see recipe notes). This cheesy broccoli stuffing casserole recipe has just 5 ingredients. You can use a bag of shredded cheese but I prefer to shred myself because it’s more economical. In fact, my food processor has paid for itself rather quickly since I started shredding my own cheese, not to mention, it takes just a few seconds to do. This delicious broccoli casserole is made extra hearty with prepared stuffing on top. You can also make this a one dish meal by cooked and chopped chicken such as leftover rotisserie. Preheat oven to 350 degrees F. Spray 2 quart casserole dish with nonstick cooking spray. Prepare stuffing according to package directions using the butter and water. 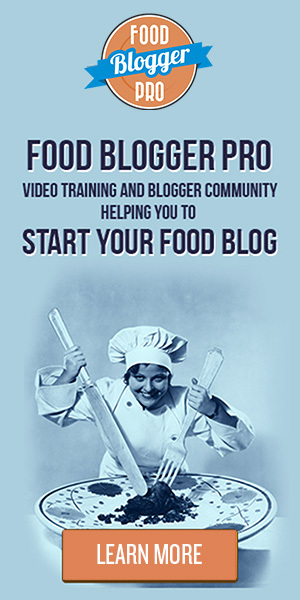 In a large bowl, combine the broccoli, shredded cheese and cream of mushroom soup. Pour broccoli mixture into casserole dish. Spoon stuffing mixture over the top. The Stove Top stuffing brand calls for 1/4 cup of butter and 1 1/2 cups of water. If making your own stuffing or using another brand just follow package directions. This easy broccoli stuffing cheese casserole recipe is easy to customize. You can use other variations of soup such as cream of chicken or cream of celery. You can also use a different cheese such as Velveeta. You can make this a low sodium dish by using the low sodium versions of Stove Top and soup. 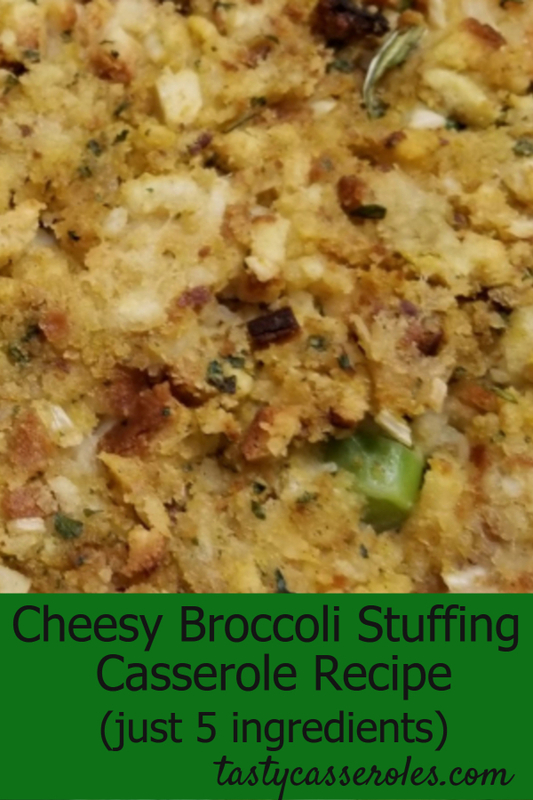 If you like making casseroles with stuffing then also check out my Cheddar Chicken Casserole and my Swiss Cheese Chicken Stuffing Casserole recipes.